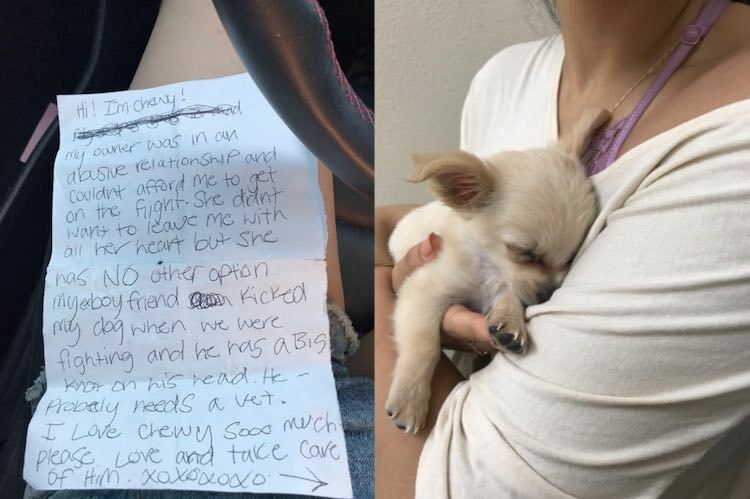 The owner of Chewy the dog was not happy about abandoning him in the airport bathroom – but she didn’t think she had any other choice. When a passenger found the young pup, they called a local animal shelter, Connor and Millie’s Dog Rescue (CDMR). After rescue officials arrived, they took Chewy to a veterinarian where he was deemed healthy and unharmed, despite the note’s warning of a head injury. CDMR has been posting daily updates about the Chihuahua since his story went viral – and he’s been getting a lot of love, with so many adoption offers that they had to stop accepting applications. CDMR says that they are waiting to see if the mother reaches out to the shelter in order to reclaim Chewy – however, since the woman was a victim of domestic abuse, she may not want to reveal her identity for the sake of her own safety. Whether he is reunited with his previous owner, or he finds a new home, one thing’s for sure: Chewy is going to be adored wherever he goes.